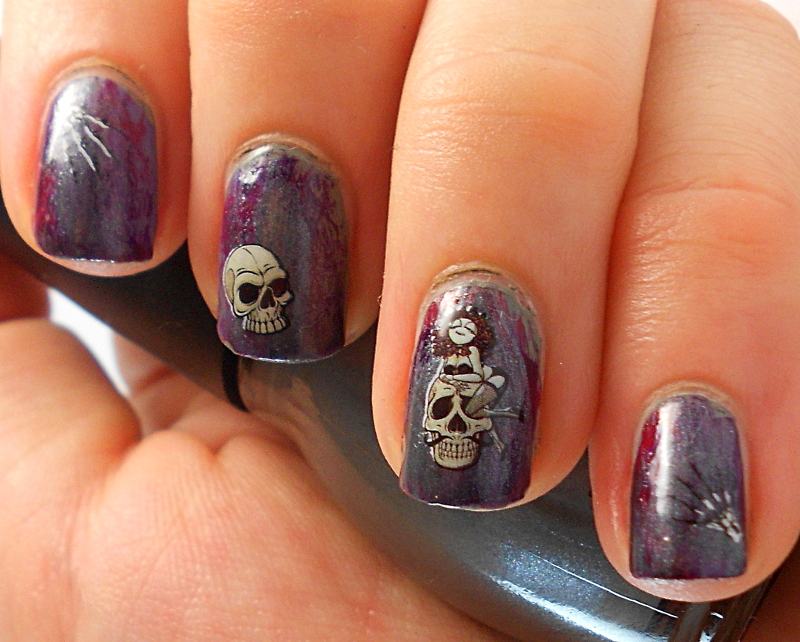 A few months ago, I got an order from the Born Pretty Store which included some skull water decals. I’ve been waiting to use them and today I finally have! I decided to try the distressed nail look that’s been appearing everywhere ever since Chalkboard nails did a tutorial. I started with a coat of Sinful Colours Kaki and then, using a dry brush, I layered on Sinful Colors Lavender and Slate, Essence Prom-berry, and Charlie Revlon Lady in Red until I was happy with the effect. It didn’t come out quite as I intended, but I still thought it was the perfect base for these decals. Once the base was dry, I applied the water decals. I simply had to soak them in water for a few seconds, then they slid right off the backing paper and applied easily to the nail. I topped it with a coat of Sally Hansen Insta-dri top coat. 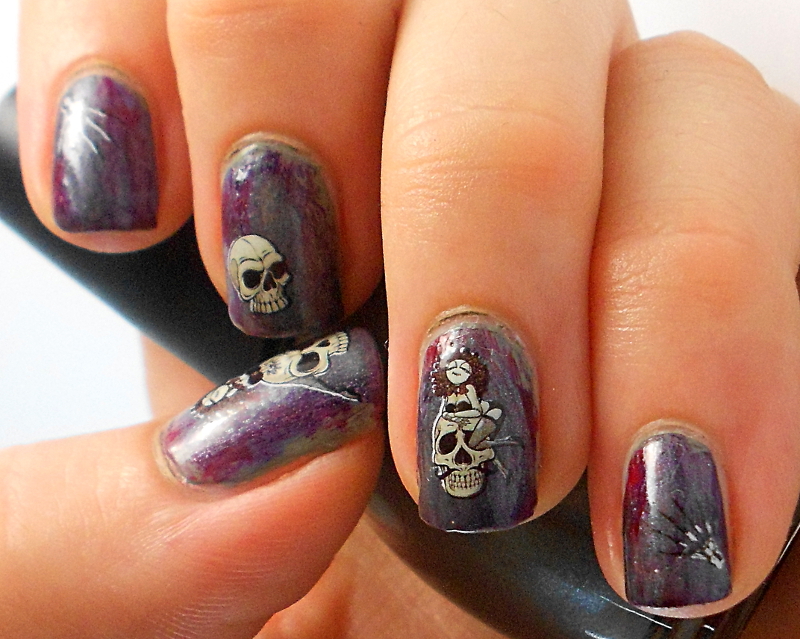 I really enjoyed these nails! What do you think? 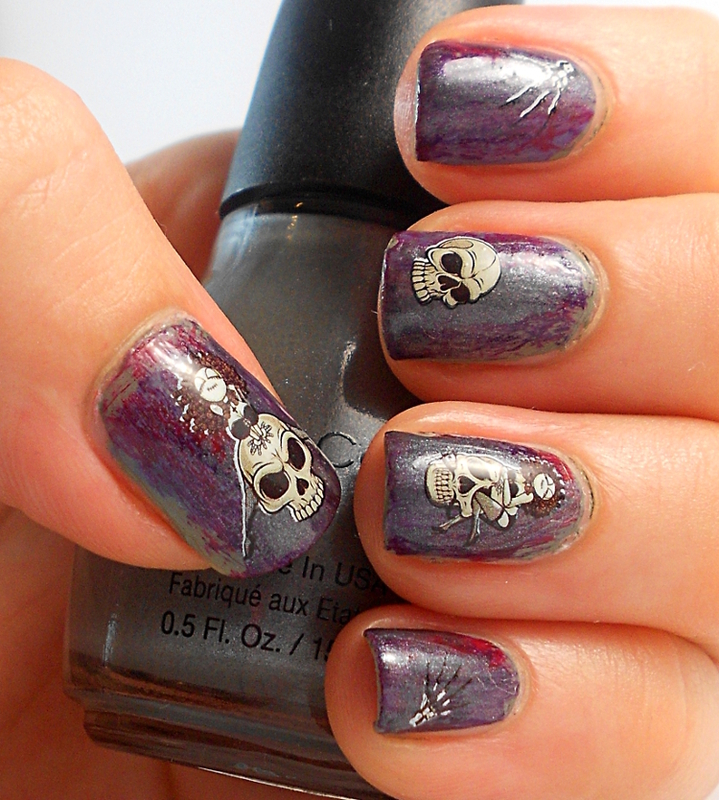 Water decals are perfect for some quick-yet-amazing nail art! These are stunning !!! Beyond blown away ! So rocker chic ! Looks awesome! Amazing job on the ‘distressed’ look!